The Lagos state police command has denied media reports of a boat accident in the state yesterday. The command's spokesperson, CSP Chike Oti, in a statement released, said the pictures being circulated on the social media to the effect that 48 persons who went on boat cruise lost their lives when their vessel capsized, is false. 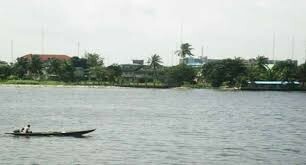 The authorities of the Command will like to state that there was no boat accident on Lagos waterways in which 48 persons died and no family has reported losing a member who left home for a boat party or cruise as falsely depicted with the pictures of unknown persons being circulated on the social media. The Command wishes to advise members of the public to be wary of news emanating from the internet as most of them are tissues of lies uploaded by mischief makers to upset their minds" he said.